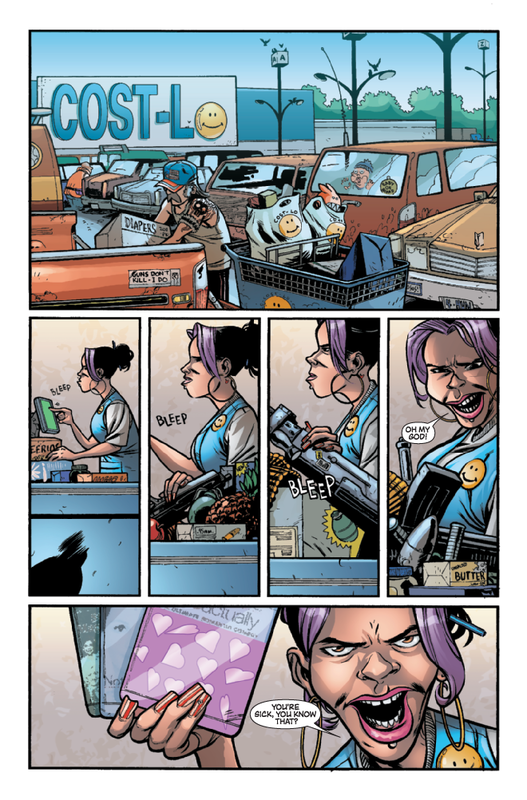 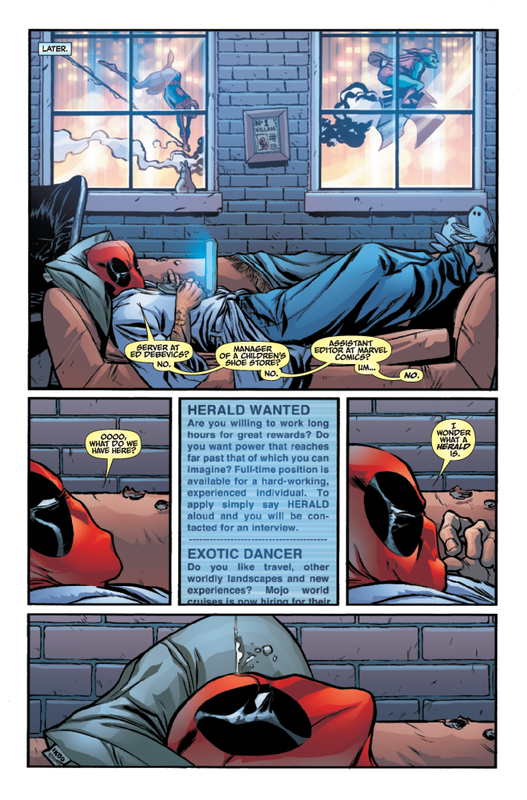 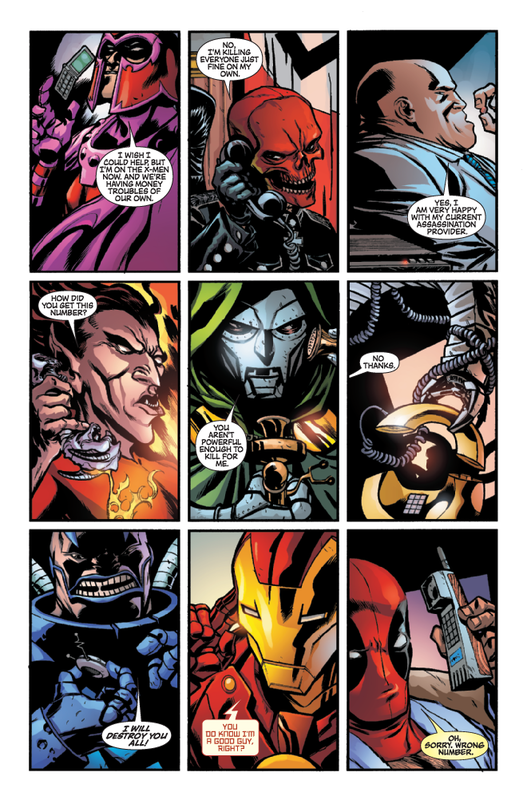 Marvel has provided the following preview of Deadpool Team-Up #883, which comes out next week on 3/30/2011. 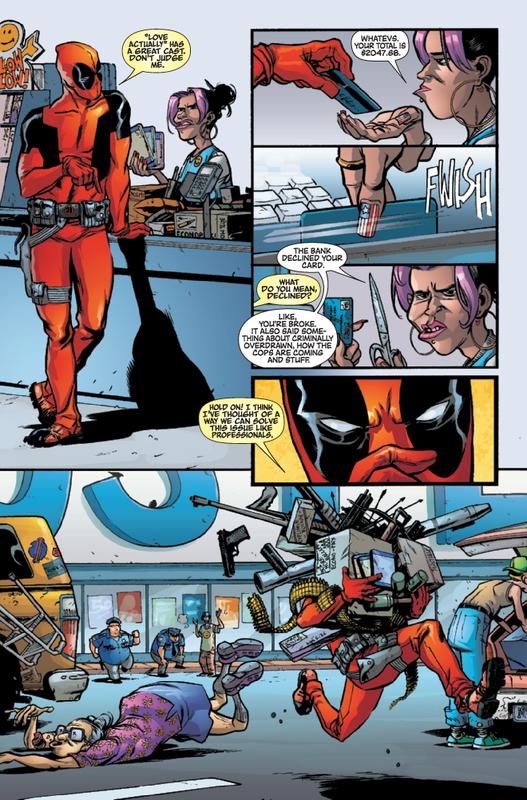 The country is in the middle of an economic meltdown and everyone is feeling the burn, especially your favorite Merc with a Mouth. 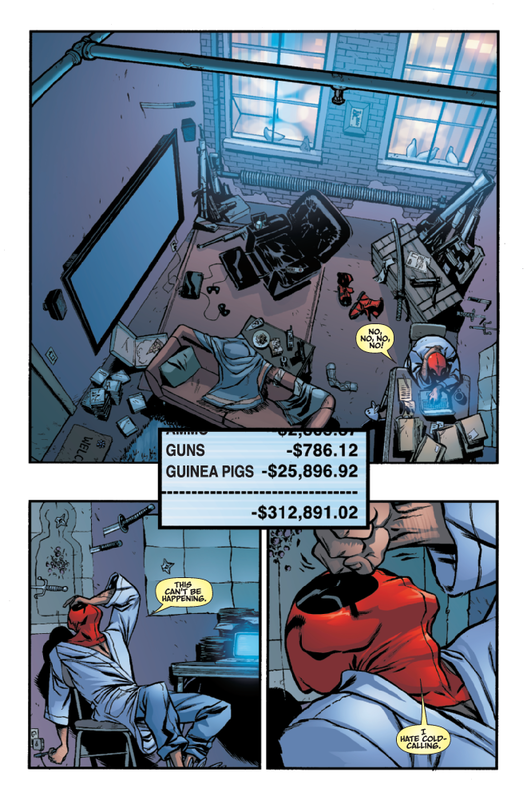 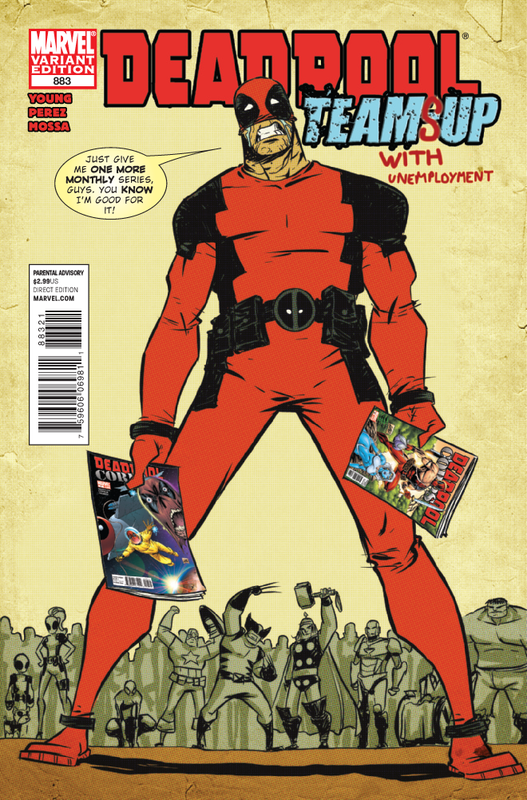 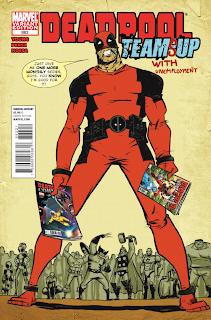 Deadpool realizes that there's no government bailout for super-powered mercenaries and when clients stop paying up, he's forced to do the unthinkable... Look for a job. Luckily, Galactus has a position open in the Herald department. 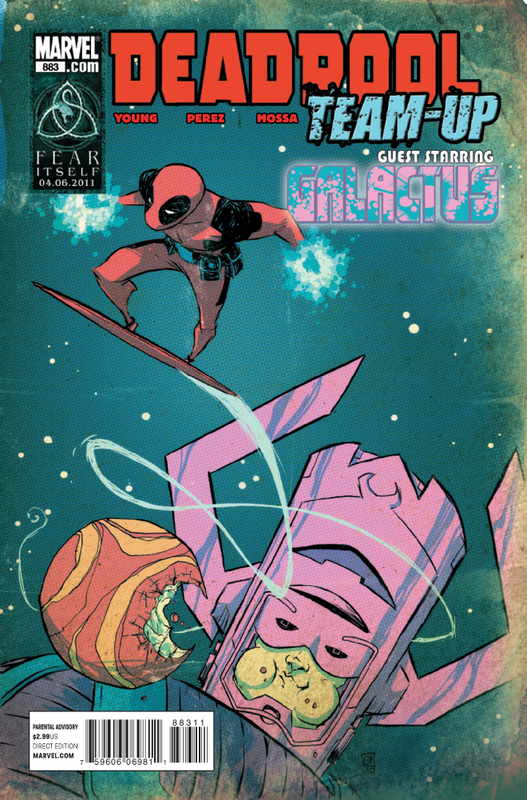 Don’t miss the face-melting final issue of the series that shook the comic book world to it’s very core.